Good morning! 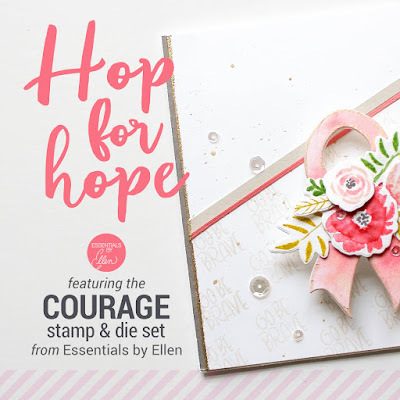 I am so honoured to have been asked to join in a very special blog hop using the Ellen Hutson BCRF Set Courage. 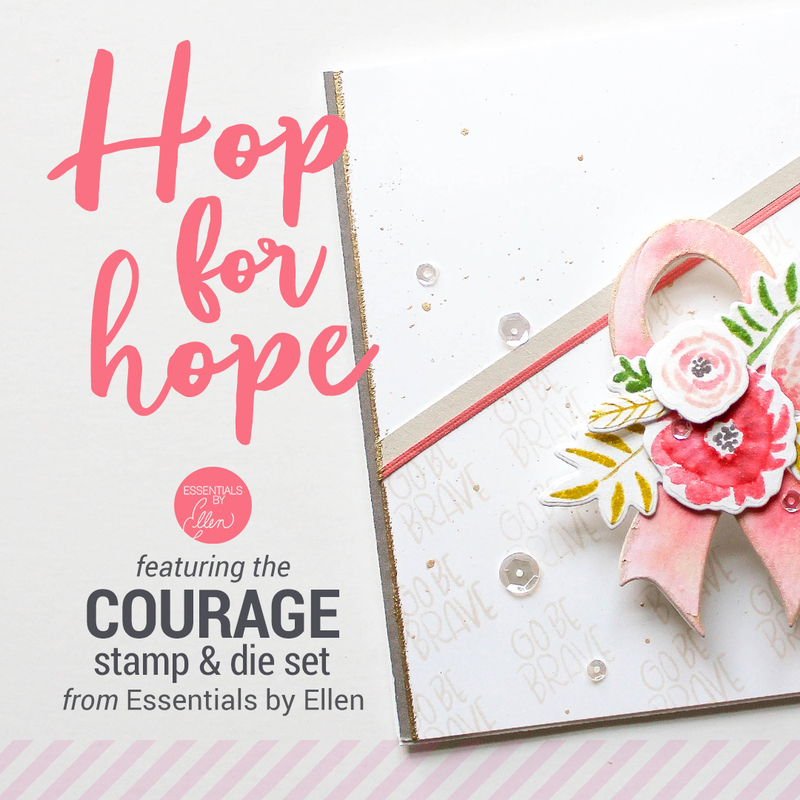 Be sure to hop along and see all the inspiring projects made by some really amazing people (blog roll below). I made two cards (and a quick video!) using some faux-watercolouring techniques and my favourite pink ink - Lawn Fawn Plastic Flamingo! These are two great cards ! Thanks for your concern ! Couldn't be more beautiful. Love the pink, very appropriate. Thanks for sharing. Love your cards, love your "quickie" videos! Now I want to make some dotty backgrounds! Ardith, I love your cards. I always love your colors against the white background. Great cards. I like the vellum heart. 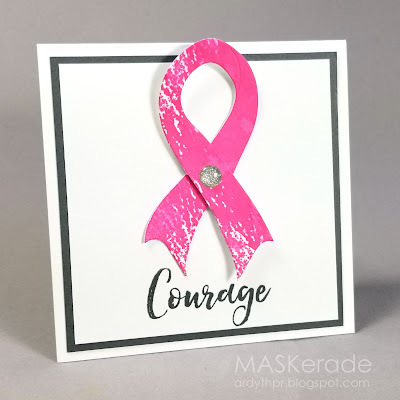 Lovely cards, so inspiring! Thanks for sharing your creations as part of the blog hop. Thanks for sharing your beautiful cards with us! Thanks for sharing your cards through the video. Love the dots! Beautiful cards. I liked how you used the flower as a dotted background. Thank you for sharing. Love the watercoloured effects you achieved on both of these cards! I especially like the "streaky" pink ribbon. Lovely cards! Have a blessed day. Love hearts and flowers; they're my thing!! Both of these are great, Ardyth. Clean design, to the point sentiments. lovely cards thank you for sharing. 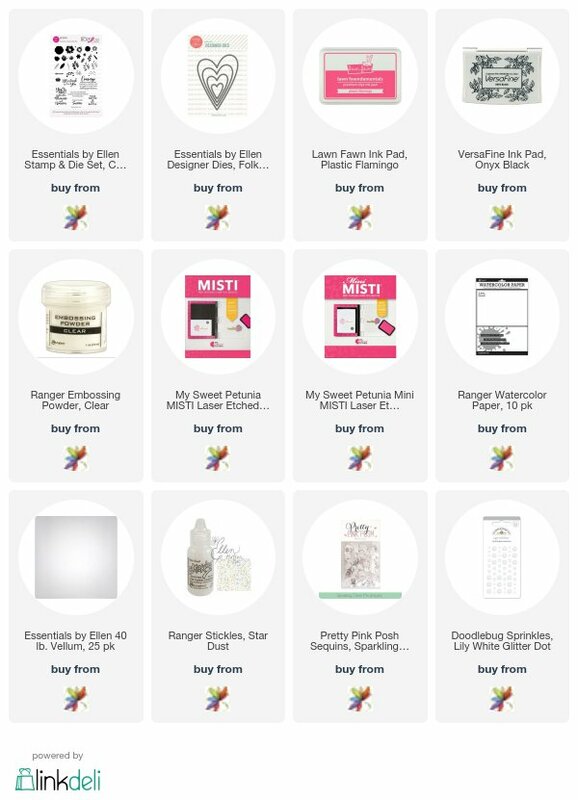 Congrats on being called to take part in this blog hop! You did a fabulous job on both cards and I really enjoy your unique CAS style. EEEK! LOVE the DOTs using the solid image from the big bloom:)) and It's an honor to be on the same hop with you too! I know I'm late to the party, Ardy, but just love your wonderful cards! OH those DOTS!